Sub Saharan Africa’s tourism industry is set to spur more economic growth for the continent and directly employ 6.7 million people by 2021, according to a newly released World Bank report. The report—Tourism in Africa: Harnessing Tourism for Growth and Improved Livelihoods—says that tourism accounted directly or indirectly for one in every 20 jobs in Sub Saharan Africa in 2011, and is one of the few industries on the continent in which women are well represented as employees and managers. Sub Saharan Africa is outpacing other regions in tourism growth. The report examines the potential of African countries to improve and expand their tourism sector, and suggests that 33 of Sub Saharan Africa’s 48 countries currently have the capacity for tourism success through establishing strong political support for developing the industry and attracting increased private investment to help finance and sustain it. The report cites successful examples of countries including Cape Verde, Kenya, Mauritius, Namibia, Rwanda, South Africa, Tanzania and others, who have simplified their tourism policies, liberalized air transport and diversified tourism while protecting their communities and environments, which created a positive investment climate for tourism development. Global hotel chains are expanding across Africa, recognizing investment potential and committing millions of dollars in new projects over the next few years to meet increased demand from both international tourists and the continent’s own fast-growing middle class. 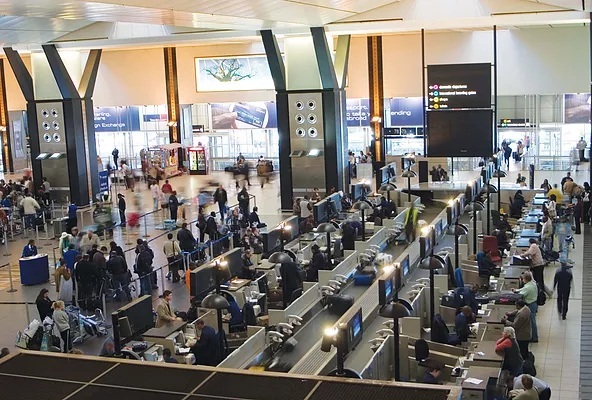 In 2012, Africa attracted 33.8 million visitors, up from a low 6.7 million visitors in 1990, and its receipts from tourism for the same year amounted to over US$36 billion, or 2.8 percent of the region’s GDP. In 2011, global tourism contributed 9.1 percent to world GDP, 5.9 percent of worldwide exports and 4.5 percent of global investment. Africa’s tourism revenues are rising fast and are set to contribute more and more to world activity. If developed effectively and managed efficiently over time, tourism has the potential to accelerate Africa’s economic growth and job creation. It can also help accelerate the reforms needed to improve airline and road transport as well as other key infrastructure, besides raising the incomes of young men and women, who form a high percentage of the job holders in the sector. “For African countries looking to sustain and increase growth, tourism can be harnessed through joint public and private sector efforts to achieve growth, wealth creation and shared prosperity,” says Gaiv Tata, Director of Financial and Private Sector Development for the World Bank in Africa whose department prepared the study. This report is the first to comprehensively examine tourism in Sub-Saharan Africa at a regional level and to recommend practical evidence-based measures that could create an economic transformation by leveraging the tourism industry to help create jobs, stem poverty and diversify economies. With an analysis of 24 tourism case studies from around the world, the report is a valuable and timely contribution to efforts to build a framework for sustainable tourism in Africa. It also identifies policies and institutional approaches for African countries to make their tourism industry more competitive and attractive to investors.